Uncle Max Eulo is an Aboriginal cultural entertainer. ‘He has etched his way into modern Sydney Aboriginal culture somewhat enigmatically,’ says Blak Douglas. Douglas was born Adam Douglas Hill on Dharug Country (Blacktown) in 1970 to an Aboriginal father and Australian mother. Connected to a family of artisans, he later studied photography, illustration and graphics at the University of Western Sydney Nepean. 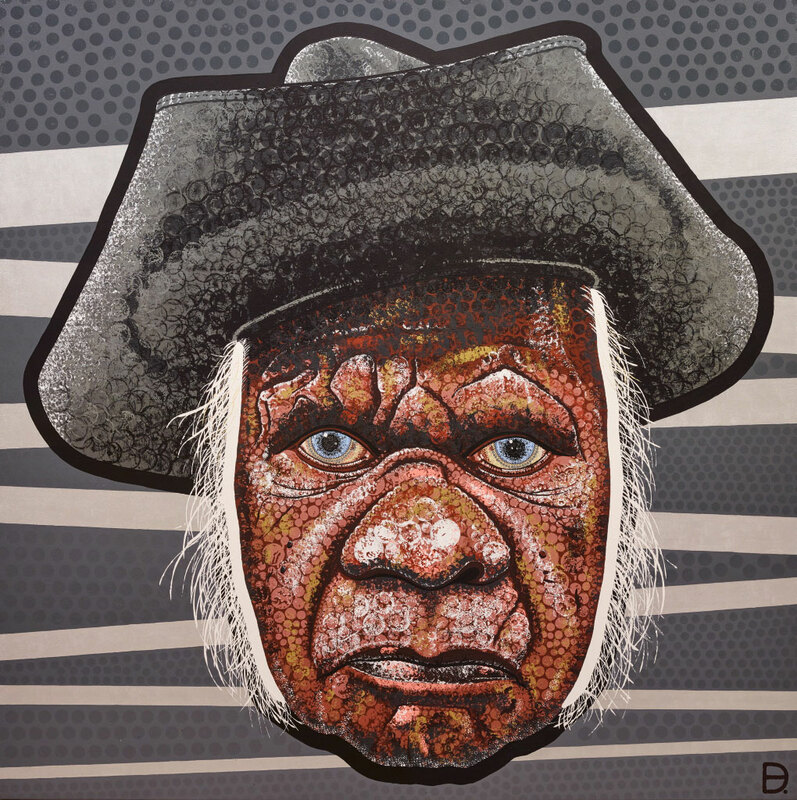 A largely self-taught artist, working in the genre of modern pop art, his work is now widely collected nationally and internationally and is held by the National Gallery of Australia, National Museum of Australia, National Maritime Museum, NSW Parliament, Taipei Museum and Aboriginal Art Museum of Utrecht. He is elated to be the first identified Dhungatti Aboriginal artist to have been selected as a finalist in the Archibald Prize.